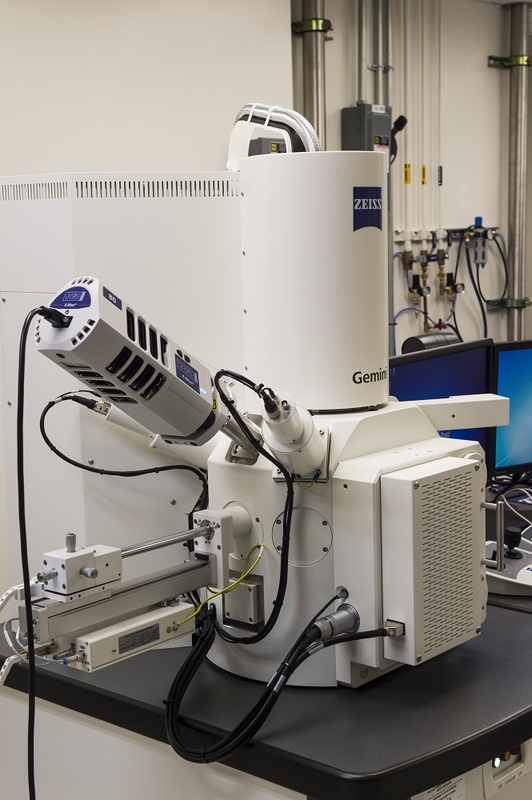 The Sigma is a field-emission SEM that produces exceptional images at both high and low accelerating voltages. Together with its analytical capabilities, this instrument is suitable for a wide range of applications in materials and life science. The microscope is not designated for biological sample imaging, but it is capable and such samples are allowed for certain cases with specific approval from the lab staff. Detectors: In-lens secondary electron, Everhart-Thornley secondary electron, variable pressure secondary electron, backscattered electron, Scanning Transmission Electron Microscopy (STEM) detector.